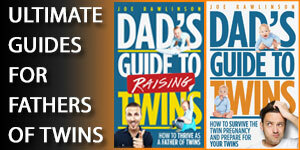 We continue our father of twins interview series with Andrew Swindler, father of boy/girl twins. 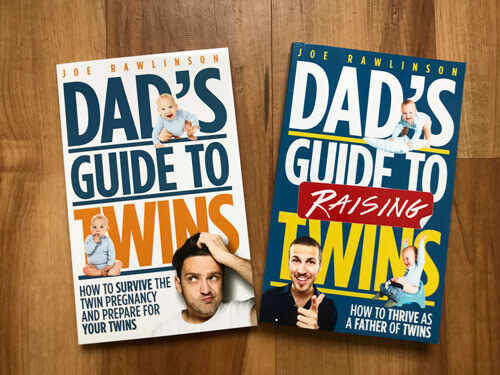 Joe:	Hello everybody and welcome to the Dad’s Guide to Twins Podcast. This is Joe Rawlinson, and this is episode 142. As always you can reach me online at twindadpodcast.com where you’ll find the complete show notes for this podcast and all previous podcast episodes. Today’s show is brought to you by twintshirtcompany.com, where I have dozens of T-shirts for fathers of twins just like you. 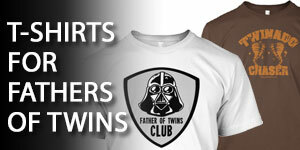 Hey, Father’s Day is right around the corner, so now’s the perfect time to get a shirt at twintshirtcompany.com. Today we are continuing our Father of Twins Interview Series with fellow father of twins, Andrew Swindler. Let’s jump right into his story. Today I’d like to welcome to the show Andrew Swindler, fellow father of twins. He has boy/girl twins. Welcome to the show, Andrew. Andrew:	Thank you. Thanks for having me. Joe:	Andrew, tell us how old your twins are now, and what’s the most exciting thing about this age right now? Andrew:	Oh goodness. Well, the 27th of April they turned five months. I’d say the most exciting part right now is just every single day is new. They’re at that point where you’re getting new facial expressions and different reactions to … I might look at them a certain way and get a different reaction than I did yesterday, and so I know that every morning I wake up I’m going to get just something a little bit different from them. Joe:	That is fun. Steps and milestones. They start to do different things. They start to interact with you. That does make it a lot easier to put up with the logistical challenges of taking care of babies. Let’s rewind the clock. Let’s go back to when you found out that you were having twins. What was your family situation like at that time, and what was that experience like? Andrew:	At the time, me and my wife, we’d been married I guess about six months. Decided that we were ready to go ahead and start a family. That happened much quicker than we anticipated. Basically, my wife went for her first appointment and they wound up doing a sonogram. I can’t remember what exactly the reason was, but they did. Because of my work schedule, I wasn’t able to go. I’m limited on vacation days per year, so with knowing that she was pregnant, I knew okay, well we’re going to have to try and balance the appointments that I take off. The gender reveal, and really the big moments so to speak. If she’s willing to say that pictures are coming then I’m like, “Oh my goodness.” We were just nothing but ecstatic and excited. I know a lot of parents kind of … It’s a really overwhelming thought, but for us it truly was just a moment of pure joy and excitement for us. Joe:	That’s kind of similar to what we had where my wife went off to the first checkup, once we had the positive pregnancy test. I thought, “I’ll just stay home and watch her other two boys that we had,” because I expected the same thing as you. Just a normal, “Yes, she’s pregnant. Have a nice day,” but surprise. Ultrasound, and news. How did the pregnancy progress from that point forward? What kind of challenges did you have? Andrew:	Well, for the most part, it was a relatively easy pregnancy. I mean granted, that’s from my perspective. I’m sure my wife’s perspective may be a little different. We really didn’t have an issues until we got down to the last stretch. We hit that 29, 30 week mark. Then that’s when everything kind of started for us. Before that really, just a typical pregnancy as far as … Obviously, my wife didn’t feel the greatest. There was additional growing pains, quite literally as far as through the pregnancy. As far as actual worries and issues, we didn’t have any issues until, like I said, once we hit the 30 week mark. Then we had some things come up, but other than that, really pretty standard pregnancy. Joe:	What happened at 30 weeks? Andrew:	About 29, 30 weeks my wife was at work one day, really just not feeling well. Started to get blurry vision, that sort of stuff, and she had, throughout the entire pregnancy, right from the get-go, once we realized it was twins, we were referred to a high-risk pregnancy specialist, and we were doing additional sonograms, high-resolution imaging, that sort of stuff as far as checking the progress, making sure there weren’t any issues as we were going along. Because of all the information that we had presented to us, my wife knew that when she wasn’t feeling good, blurred vision that sort of stuff, that high blood pressure was an issue. Obviously, right from the get-go, they throw out the term pre-eclampsia, high blood pressure, that sort of stuff. Everything that goes along with that, and that becomes an issue late in twin pregnancies. My wife was at her office. Wasn’t feeling good. Decided to drive down to local drug store, and did just the arm cuff blood pressure check there at the pharmacy. Blood pressure was really high. Called I believe like a nurse hotline. Was like, “Hey, this is what’s going on.” They’re like, “Okay, you need to go check into labor and delivery at the hospital.” She goes in there. They check everything. Do some monitoring overnight. Really wasn’t a big deal. Well, at 32 weeks, that night, while her blood pressure was very high, she went into pre-term labor, and started to have some pretty heavy contractions. Started to actually dilate to the point where the doctors were not comfortable letting her come home. They obviously gave magnesium, all medications, and medical services they can do to postpone the delivery at that point. I mean 32 weeks was going to be really early. We would have had a really bumpy road with the babies at that point if they would have come that night. After that, she was admitted at 32 weeks. My wife did not leave the hospital until the babies were born, and the babies were born at 35 weeks. My wife was hospitalized for 19 days before the kids were born. Joe:	She was working up to that moment she went into the hospital? Is that correct? Joe:	How did she manage that transition? Was work understanding? Did she have some challenges there? Andrew:	We were really fortunate in the fact that she had a lot of paid time off accrued. With her, the line of work she’s in, she did a lot of international traveling, and basically rather than getting paid overtime, she had accrued paid time off while she was overseas, and doing some stuff. We were really fortunate in that respect that she had enough time to cover that. She was able to, once the pre-term labor had been addressed, and she was kind of just in a hospital room waiting. Every day was kind of a waiting game just to see what was going to happen. It kind of got to a point where she could do some work from the room there. Address some emails, do some reports, that sort of stuff. She really did everything she could to try and work with her job. Luckily for us though, they were just so understanding, and so helpful in our scenario. Joe:	She was on some serious bed rest, you said for 19 days. What was the trigger for when the babies decided to come? Andrew: She was on bed rest. She had gone through, like I said, medication to … When she went in pre-term labor, they did steroids, magnesium, and all that, and basically, we were told that that would buy us 48 hours, and enough time for the steroids to hit the system to help the babies so that if they were born at 32 weeks, it would basically help them develop mentally through that time, in the NICU that they would have been in. Then I realized that having babies is not a 10-minute deal like they show in the movies, and it’s a process, and it’s an all day affair at this point, that sort of thing. She had gotten up to go use the restroom, and came back and called the nurse and said, “Hey, I think we’ve got a problem here.” That was pretty much it. Really pretty natural in that respect. Joe:	Was she able to deliver the twins vaginally, or did she have to go in for a C-section? Andrew: No, vaginally. No problems. Textbook birth. The doctor that delivered our twins, it actually was the last set of twins he delivered. He was an older doctor, been doing it for 25 plus years. He was retiring from delivering, and just going to strictly GYN portion of his field. He said that he was so happy that it went as well as it did. Obviously, twin births, he said they could go absolutely either way. It just really blew our minds at how great, and how easy, and how well everything went. Joe:	Were the babies in their right position, or did he have to move them around, or they just kind of rotated into place to make that happen? Andrew:	Let’s see here. Actually, while my wife was on bed rest in the hospital, baby A, which was my daughter, was breech for the entire pregnancy. We, up until 33 weeks, 34 weeks, we were anticipating a cesarean section. Then very late on, she switched, and all of a sudden they’re like, “Hey, we now have the option for vaginal birth,” which of course, made my wife’s day. That was her goal. I think every first-time mom, that’s kind of a goal for them to try and want to do it that way. At least for my wife, it was a priority to try and do it that way. Joe:	Your picture, your pregnancy and delivery going a certain way, particularly mom pictures a certain way, and everything kind of has to fall into place for that to happen, so that’s nice that that happened for you here. They were born at 35 weeks, and what kind of challenges do they have right away? Do they go off to the NICU? Andrew:	We had no issues right away, which was absolutely mind boggling to us. Obviously, when she went into pre-term labor at 32 weeks, we had lots of discussions with many different medical professionals on what’s it going to look like if they’re born at 32 weeks. What kind of challenges we’re going to have, NICU time, the condition, the equipment that they would be hooked up to, all the different tubes they would be hooked up to. Really, it’s a really scary thought. Even at 35 weeks, we had it in our head that this is what we were looking at. These are the issues we were going to have. They’re going to be on feeding tubes. They’re going to have trouble breathing, and all that, but they came out and they were doing fantastic. Like I said, at 32 weeks, my wife had been given a strong dose of steroids to help with development, and I don’t know if the combination of steroids with those extra three weeks in there cooking, really was just a perfect combination for us. There’s no way of saying one way or the other, but they came out, and right away we had no issues. All the medical professionals at our hospital were really surprised. He was able to, in a round about way, keep us there another day for monitoring. I don’t know if it was so much for my wife’s sake, or just for the babies in general. It did keep us there an additional day for monitoring, just to make sure there wasn’t going to be any issues. Coming home, we didn’t have any problems. They dropped some weight really quick. As far as nursing, that just really wasn’t an option for us because of them being born small. They were both right around a little over five pounds. When they both left the hospital they were both four pounds 10 ounces. They were quite small. Really we had to go to … They had us doing kind of like syringe type feeding with our fingers and a tube to try and get them to eat early on. That was really a struggle with us. They lost some weight. With some discussion with our pediatrician, we decided to go to bottle feeding. Basically you can get them a lot of food really quick. That really helped us out. Weight gain at that point was really our only scare and concern that we really had to worry about was just them losing weight quick, and just getting that stopped and changed around to where they’re at in weight. Joe:	What surprised you the most when you brought your babies home? What was different than what you were expecting? Andrew:	At this point, my wife’s been hospitalized for 19 days. My wife was in a whirlwind. I have an eight to five, Monday through Friday job. My schedule, while she was in the hospital, was I would stay the night at the hospital, run home, change, get ready for work, go to work, get out of work, come home, change, go to the hospital, stay the night with her, so you figure for almost a month, we were just … Our schedules and our lives were moving so fast. Like you talked about, you go through the process, and you have this idea of how your pregnancy and delivery is going to look. For us, we certainly didn’t anticipate my wife being on bed rest and in the hospital for 19 days before delivery. At that point, I think we’d both really just thrown all expectations out the window. We were just along for the ride. I would say the first couple nights at the hospital, I had no idea how little sleep would be involved in those first couple weeks. I guess that really transfers into coming home as well. Because they were so small, we were feeding them every two hours. If they weren’t up to feed at two hours, we had to wake them up to feed them. Really we were getting sleep, I was getting a little more than my wife, but I mean you figure you feed this infant, this very small infant that really doesn’t even have the idea of how to eat yet because our understanding is that’s one of the last things to develop with them. With them being born at 35 weeks, that was really the only thing that they came out lacking was they really just didn’t have that instinct just to … You put a bottle in their mouth and they just go to town. We had to really coax, and work with them, and really work to get them fed. You spend an hour feeding them. You get to sleep for 39, 45 minutes, and you’re right back up doing it all over again. That was life for a couple weeks until they start putting on some weight, and then they say, “Okay, well, now you can go to trying to feed them every three hours, and then at that point, you’re getting an hour and a half of sleep, which is a huge, huge difference at that point, once you’ve gone a couple weeks only getting it 30 minutes at a time. Joe:	Yeah those first weeks are just a grind. They just wear you down. You really don’t get an appreciation for sleep until you have no sleep. That’s the case in those first weeks with infants. When they were born healthy, everybody was thinking maybe there was something you were missing, that the other shoe was going to fall. Did that every happen? Andrew:	As far as developmentally, no, but at two weeks old, my son got RSV, which is a respiratory infection. We know it as adults as the cold, but to a two-week-old baby, who was born at 35 weeks, it is just absolutely detrimental, and can be deadly, and almost was for us. At two weeks old, he started to catch a little bit of a cold. Kind of some sinus issues. Took him to the pediatrician, was getting him looked at. They were doing just sinus suction to try and help with breathing. Said, “Well, as long as he appears to be doing okay, nothing to be worried about. We’ll just have to see what happens.” We were at home. We had actually had a friend of ours, that is a photographer, come over and do baby pictures that day. We were sitting there. I look over and my son’s laying in a Rock ‘N Play, which was where, at this point, they were pretty much hanging out during the day, him and his sister. 911 comes, ambulance comes, he gets rushed to Children’s Hospital in Kansas City. Fantastic hospital. Thank goodness we’re not too far away from great, great care. He gets taken down there. We’re in the ER with all these doctors, and just, when I say a team of medical staff, I’m talking just 15 people in a room with this five pound baby on a table, just struggling to breathe. It was probably the hardest moment of my life. Harder than seeing my wife go through bed rest, birth, the lack of sleep. At this point, I just … I think that was the first time it really hit me as far as being a dad, and how amazing that relationship is with these two babies. I realized that okay this relationship is unlike anything I’ve ever had before in my entire life. Doctors get him stabilized, get him to where everything is okay. He was on basically like a C-PAP type machine overnight and for a couple days. He was, I believe it was 11 days total. He was in a hospital, he was on C-PAP for a while, feeding tube, a lot of the same stuff we would have seen in the NICU had they gone there. We had to go through that. Like I said, 11 days he was in there. He was in the hospital. We had his sister at home. Never had an issue with it. We are so thankful for that. Of course, the entire time you’re sitting there thinking, “Oh my goodness, is she going to get sick? Is this going to happen? Is this going to happen again to where we’re going to have to rush her to the hospital?” Thank goodness it didn’t happen. We had that entire struggle of those 11 days in the hospital of one child in the hospital, one child at home, and splitting our time. Joe:	As if you’d had the NICU experience, just a little delayed. You had one baby at home, one in the hospital. How did you juggle the logistics of having one here and one there? Andrew:	I took two weeks off of work when the babies were born, so I was here with my wife every day for those first two weeks. Week three, we scheduled me to go back to work. Well, my mother-in-law, with her job, had a week’s vacation available to her. She said, “You know what? I’ll take a week off for that third week,” so basically my wife would have assistance those first three weeks, just really, like we talked about, getting through that grind period, where it is just absolute chaos. Luckily, my mother-in-law had already scheduled to be off of work. My wife, while our son’s at the hospital … The very first night he goes in the hospital, as a husband, I had explained to her, I’m like, “We have a daughter at home that needs us. Our son is in the hospital. He has every single thing that he could possibly need.” We came home that night, and that was the hardest thing. Having both children at home, and then to leave our son at the hospital that night. The very next day we seem him. My mother-in-law comes, takes care of our daughter for us. Basically, while he was in the hospital, obviously, at this point, between delivery, I had just taken two weeks off. I’d used all my vacation time I had. I had to go to work. I had to go do my eight to five, and make money to be able to get us through all these challenges we were going to see financially at some point, once everything caught up. Luckily my wife was … She would go down during the day, see my son at the hospital. She would come home about the time I was getting off work. I’d come home. I would see my daughter for about an hour, eat some dinner, and then as my wife is starting to put her down, I would go down to the hospital by myself in the evening and see my son. We did that through the week while I was working, and then on the weekend we were able to have my mother-in-law come, stay with the daughter, and we both were able to go down and visit my son together, which was … You don’t realize how important it is to, with your spouse, be there in that moment, but those weekends I really found a lot of peace and the ability to get myself through the next couple of days of doing that. Just being able to have the strength to go down there and visit him with her, and do that as a family. At least have the sense of feeling of a family in a time where you feel like it is just absolutely broken, and you have zero control over it. Joe:	Yeah, I can see the power of doing that together. Having the family experience. Andrew, now that your babies are now five months old, tell us about the typical day in the life of your twins. What are their schedules like? How long do they sleep? Andrew:	As far as sleeping, I guess a day in the life, I’ll actually start when they go to bed because that’s kind of what everybody … That’s the critical time. We try and put them down around 8:00, and we’ll put them down. They’re usually up somewhere between 10 and midnight getting hungry again. We’re able to feed them, and then through the week, my wife and I have worked this out, and I’m not going to say this works for all couples and all people. I’ll tell people how my wife and I have decided to do this. Through the week, my wife gets up with the twins. We’re fortunate enough, basically they go down, let’s say they eat at 11:00. My daughter will be back up around 2:00, 3:00, which my wife’s typically getting up to pump at that time of night anyway. She’ll feed her, get her back down, and then 4:00, 5:00 my son is up, so he’s making a pretty good run on sleep. Pretty consistently, and then she’s up with him. Overnight, through the week, I don’t help. I’m a mechanic by trade. I work on cars for a living. I use power tools all day. My wife said, “It’s important for you to be able to go do your job, and do it well, and safely, more so than being up at night.” I said, “Okay.” On the weekends, I will get up through the night and help her kind of recuperate some rest and sleep. That is a system that really works for us. As far as through the day, they’re up usually shortly after I go to work, so 8:30, 9:00 they’re getting up. My wife is sending me Snapchats, and pictures, and all that fun stuff, obviously all day long. She’s a stay-at-home mom. She absolutely loves being able to share their day with me, and I’m super thankful for it. Babies are up, they’re playing. By playing, I mean we’ll put a blanket down on the floor, and they’re sitting there kicking and playing. They’ve got this little thing that has an archway, goes over them, has hanging things. They love to hit it. They’re both starting to show the early signs of teething. They love chewing on stuff at this point. They do that for a while. They still, a lot of sleeping at this point still. They take, probably an hour and a half, two hour nap in the morning. Then they do some more playing. My wife will really focus on some interaction time with them. Then really afternoon, they’re sleeping again. Evenings are really just, I come home, help getting them fed, ready for bed, baths. Then we’re right back to 8:00 and trying to get them down to sleep. That’s not always how it goes. Sometimes they really struggle. As far as going to sleep, the process starts all over again. Joe:	Awesome. Awesome day in the life. Andrew, we have a few rapid fire questions if you’re game here. I’ll shoot these off, and just share the first thing that comes to mind. What is one thing you wish you had learned before the twins arrived? Andrew: Probably communication with my wife. We were only married six months. Communication is critical in everything. Emotions are high, stress level is high, and being able to function together as a team is absolutely the most important thing. Sometimes I wish maybe we had a little bit more time to build our relationship before we got thrown on this journey. We’re doing amazingly well with it. I don’t want to down talk my marriage at all. It’s absolutely fantastic, but that would be the one thing. A little more communication, a little bit better communication between the two of us. Joe:	Yeah, that’s a good one. Twins are definitely a stress on any marriage, even if you’ve been married for years. What is the most frequent question that people ask you about your twins? Andrew:	Probably if they’re twins. For some reason, if we’re at church, we’re walking through the store, whatever it is, and someone sees a double stroller with two infant carriers, they go, “Oh my goodness, are they twins?” Why would I have two infant carriers with babies approximately the same size if they weren’t twins? 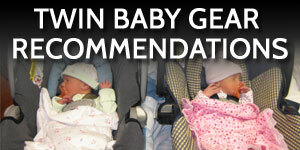 Joe:	What piece of baby gear could you and your twins not live without? Andrew:	I would say our Rock ‘N Plays would be critical. We, for bassinets, did the Chicco Lollago Portable Bassinets. They’re just small enough you can put them right beside the bed, and they don’t take up a lot of space. If we travel to my wife’s grandparents out of town, just fold them up, stick them in a beach bag basically. They’re absolutely amazing at this point. At this point, our twins aren’t in their cribs yet. They’re still in our room, but that’s … I would say those two items. Absolute musts. Joe:	Those are great. On the flip side, what is one piece of baby gear that you bought before the twins arrived, that you never really used? Andrew: MamaRoo. The clamshell swing up and down, left and right thing. We got that thinking that was just going to be the end all, be all of fussy babies, and neither of our children have a preference for it. I know several parents that have had great luck with them. It’s just not something that we really thought was necessary. As far as twin-specific stuff, we bought a backpack diaper bag, and quickly outgrew it and went to just a full-sized backpack. Plan on a bigger diaper bag than whatever you think you’re going to need. Joe:	As we wrap up today, Andrew, one final question, what’s working right now for parenting your twins? What are you having success with? Andrew:	Honestly, we’ve really tried to get out more with them. I don’t know if because of them being premature, son going to the hospital, being exposed to RSV, we were really … We stayed at home for a long time. Didn’t take them out. Didn’t really try and socialize. Here lately we’ve really been kind of trying to live more of our life, I guess, kind of the way we did before, as far as getting out to friends houses, going and having dinner at a friend’s house, getting the babies out, going to church, taking them shopping, that sort of stuff. Kind of it’s during that grind period, it’s real easy just to stay at home, and it really kind of takes its toll on you in its own way of just not getting out. You kind of get stir crazy, and so I’d say just getting out, going to dinner, really just realizing that we’re going to be able to do this, and it’s not going to be this perpetual grind, and that we’re going to be able to move through that has really been great for us lately. Joe:	Well, Andrew, thank you so much for sharing your story with us. We really appreciate it. Andrew:	Thank you. Thank you for having me. Joe:	I hope you enjoyed that conversation with Andrew. By his twin journey, the ups, the downs, the surprises that came along with it, I’m sure you can relate to some of those experiences along your twin journey as well. 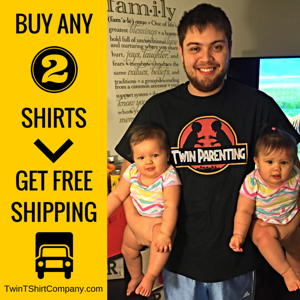 If you want to check out the show notes, again, that’s twindadpodcast.com, and today’s show was brought to you buy twintshirtcompany.com, where you’ll find dozens of T-shirts designed specifically for parents of twins, fathers, mothers, and grandparents of twins. You can check us out at twintshirtcompany.com. Thank you so much for listening and I’ll see you next time. Please let me know what you think of this episode of the podcast, you can contact me with any questions or comments or leave a comment on the blog. If you enjoyed this episode, please leave a rating and review on iTunes by clicking here. 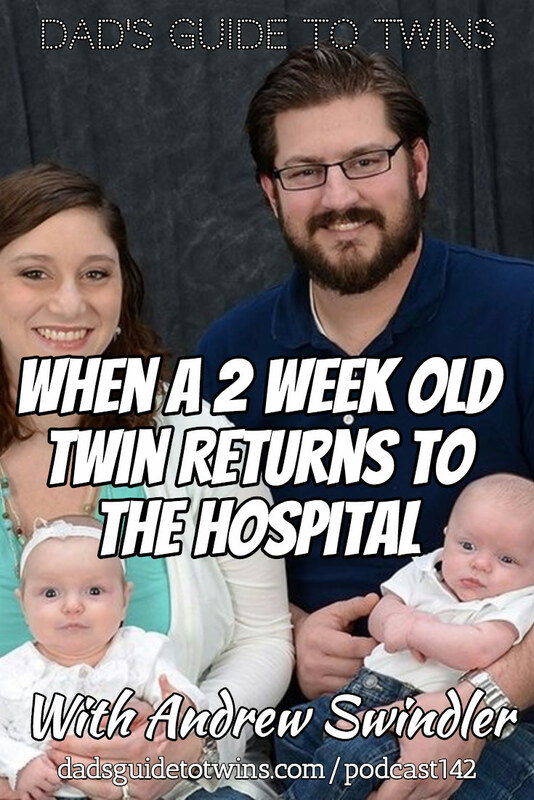 It will help other parents of twins find the show! You can find Joe on Twitter and Facebook. 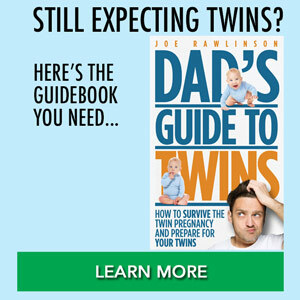 What is your advice for father with premature twins at 26weeks?